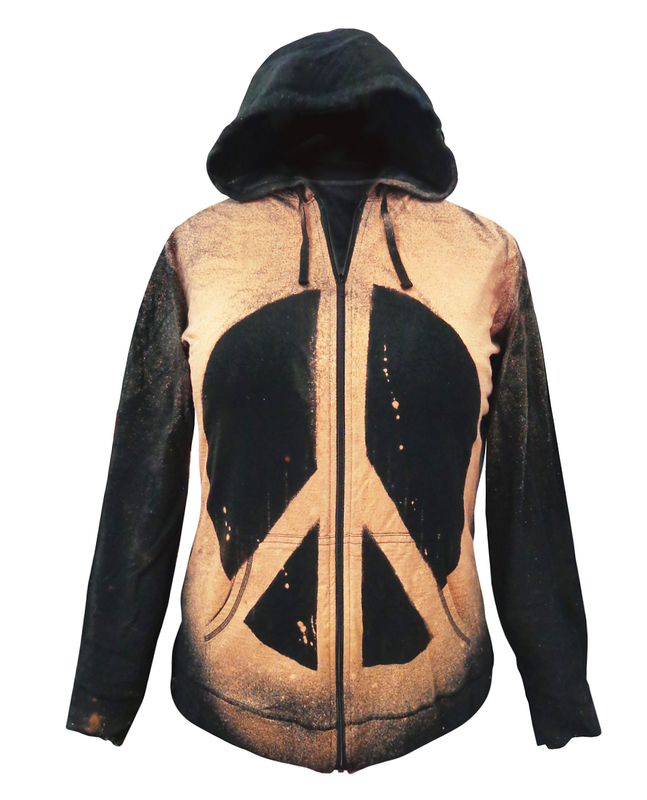 Spread the love with this cool, light weight hoodie. Ink colors range from earthy yellows to rusty reds on a dark black background. Hoodie features full zipper, front pockets and hood with cord. The peace sign is on the front and you can have it on the back as well for only $10.00 more! 4x: Chest:54" - Hips:54" - Length:29"